Do you often feel like there aren't enough hours in the day? Simultaneously building a successful career, keeping on top of your housework, spending enough time with your loved ones, and getting to the gym a few times a week can sometimes feel impossible. Life would be much easier if you could fit more into 24 hours, right? Well, the truth is that you could probably be using your time more efficiently. 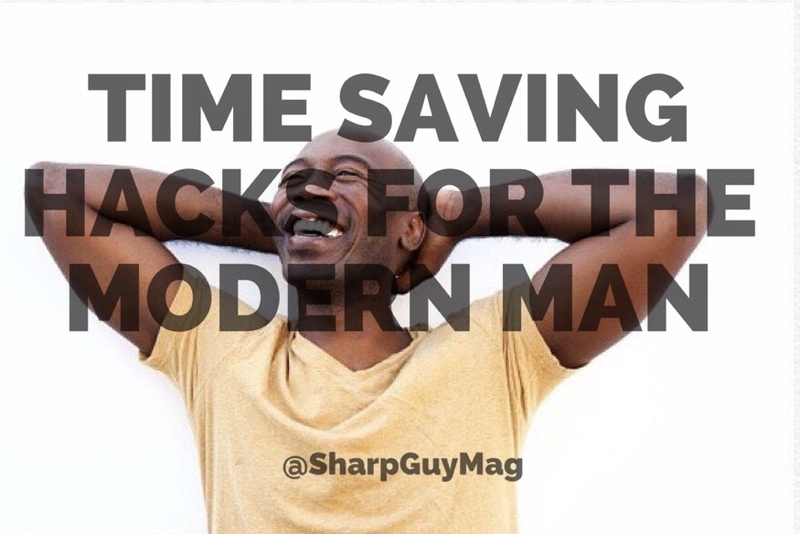 So, we've put together this list of five time-saving hacks for the modern man. Take these tips on board so you can stop wishing for more hours and start making the most of the time you do have. Men spend an average of 7.21 hours a week on household chores, according to News Shopper. So, if you could always do with a few extra hours to spare, it's well worth looking into how you could reduce the amount of time you need to spend tending to your home — or, better yet, enlist someone to help you. In the past, anyone who couldn't afford to employ a cleaner would just have to struggle through on their own. But, these days, there are so many companies out there that will take some of your chores off your hands for a relatively small fee. For example, if washing your clothes takes up far more time than you would like, Laundrapp could offer the perfect solution. It's a mobile app that lets you arrange for your clothing to be picked up, washed, and dropped back off whenever it suits you. So, if your washing basket's beginning to overflow and you just don't have the time to tackle it, this service could help to bail you out. When you're trying to shave hours off your daily routine, spending time planning your day might seem counterintuitive, but it could actually save you some precious hours in the long run. By setting aside 15 minutes each night to plan your goals for the next day, you'll ensure you don't waste any time running around in circles. Having a plan of what your day will look like will also help you to get everything done in the shortest time possible. For example, if there are a number of things you need to do in the centre of town, you can make sure you get all of these done in one go, which will prevent you having to make two trips. Making a weekly plan can also be very helpful for this, as it will make it much easier for you to group errands together in the most efficient way possible. 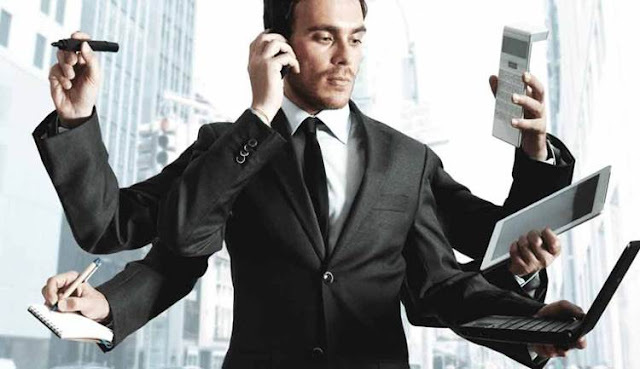 Sometimes, multi-tasking can help you to feel like you're getting a lot done at once but, in reality, it prevents you from giving jobs your full attention. More often than not, this will result in it taking you much longer to get things done. Instead, try to work through the jobs on your to-do list one-by-one. It's likely you'll find your time starts to stretch much further. In the age of group chats and constantly-updating social media feeds, your smartphone can be your worst enemy when you're trying to focus on a task. So, when you really want to be as productive as possible, it's best to keep your phone in a pocket or drawer. If you think you still won't be able to resist peeking at your notifications, take advantage of the 'do not disturb' feature that most iPhones and Android phones now come with. Turning this on will usually silence calls, alerts, and notifications when it suits you, but you can also adjust the settings to allow calls from certain contacts. Did you used to lay out your school bag and uniform every school night? Well, why not get back into the habit by making your work lunches, picking out your outfit, and packing your bag each night before bed? This will help you to feel far more organised and save you some precious minutes every morning. If you struggle to find the time to get to the gym, or you regularly feel like you have to choose between hanging out with your friends and getting a workout in, you could be missing a trick. Most of us could work a lot more exercise into our daily routine by giving our commutes an overhaul. If you don't know where to start, Total Gym Pulse has a guide to transforming your commute into a workout, which will give you some inspiration. As well as swapping your usual car journey for a walk or cycling session, they recommend exercises that you can do in the car, and creative ways you can burn calories while travelling on public transport. Incorporate some of their tips into your commute and you won't have to worry about spending as much time in the gym. There are never going to be enough hours in the day, but these tips can help you to get the most out of the time you do have. Take these on board and you should have no trouble finding time for the things that truly matter.